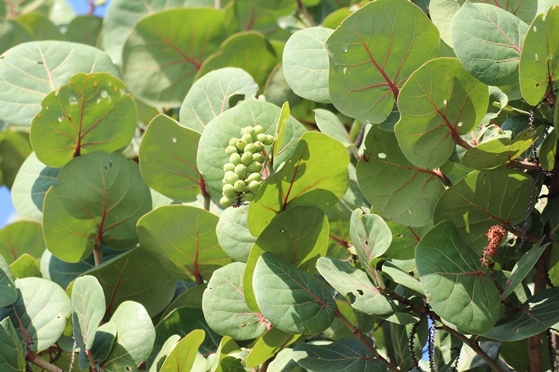 The seagrape tree has lovely waxy, round leaves and produces dark purple grapes. 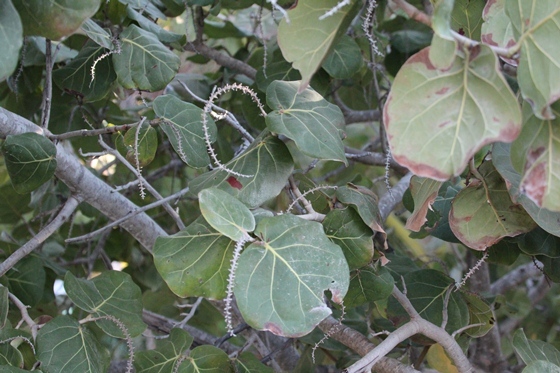 The fruit is sweet and makes a good jam. 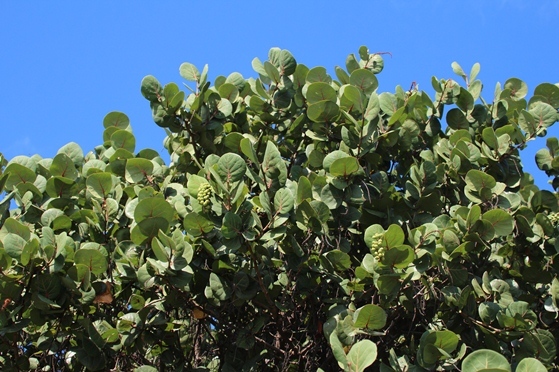 Since the seagrape tree prefers dry, salty soil it is often seen growing close to the ocean. It grows very well on sandy beaches.